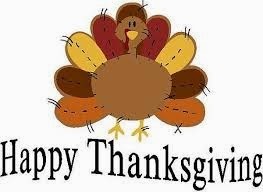 We’ve got a crowd arriving at our house Wednesday evening, so we’ll begin the fun that evening with a non-turkey menu! Heat a grill pan to medium heat. Season the steak liberally with salt and pepper. Cook for 6 minutes on each side for medium rare. *Cook’s Note: If you prefer medium, cook for 8 to 10 minutes per side. Trim excess fat from steaks. 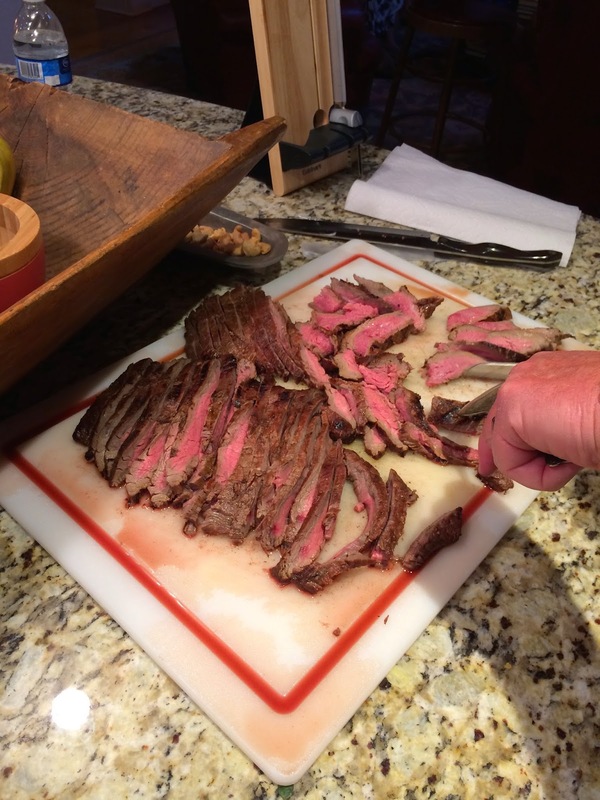 Score steaks on both sides and place in large dish or zip lock baggie. Combine oil and remaining ingredients. After grilling or sautéing in the oven, remove from heat, cover with foil to make a tent. Rest for 5 minutes before slicing steak. Cut into 1/8-inch thick slices. 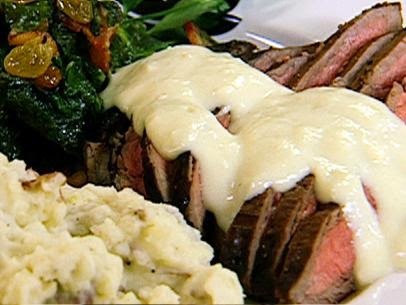 Transfer to a platter and spoon on Gorgonzola Cream Sauce. 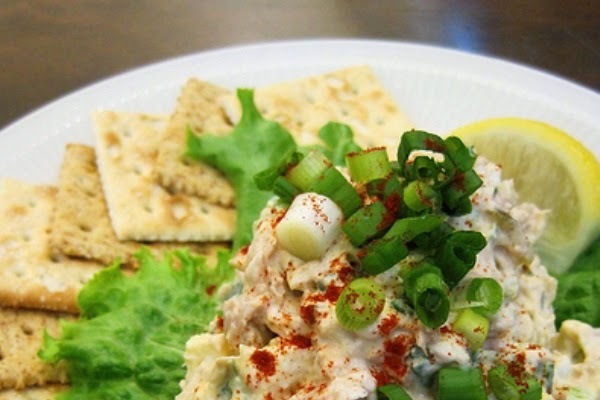 ***This dish would be great as sliders to serve at a tailgate party! 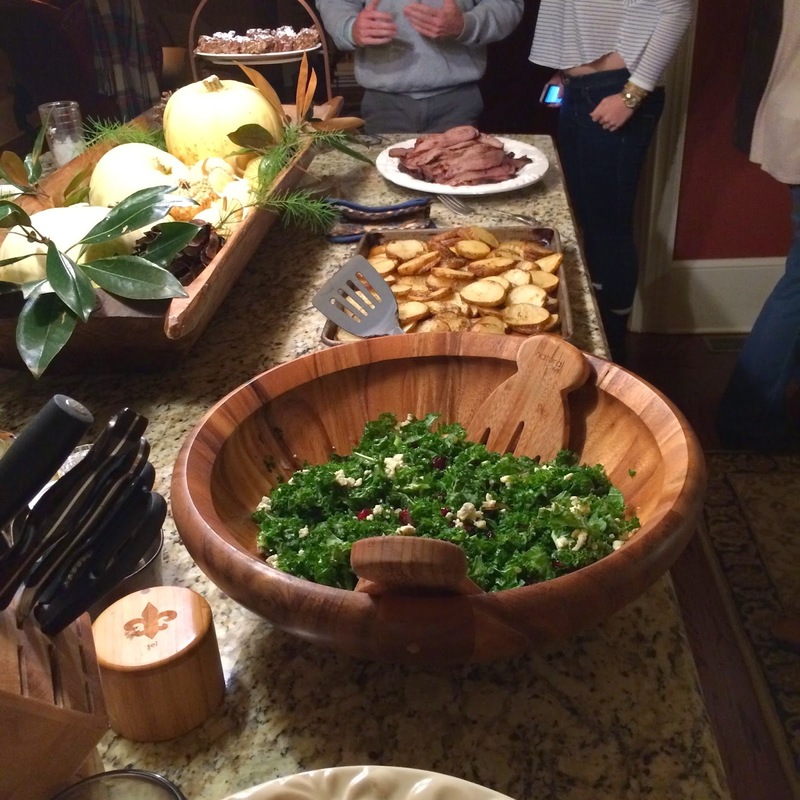 My sister-in-law served this dish last year, and I loved it. 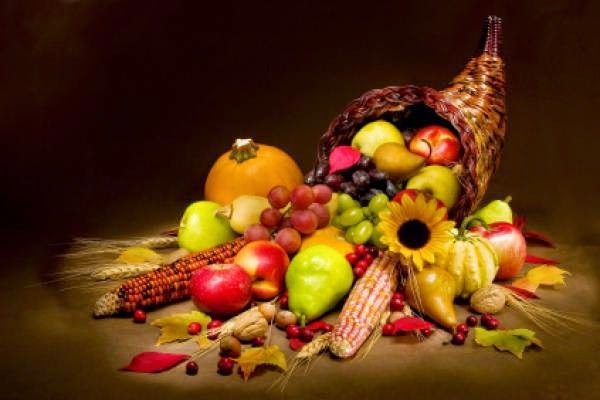 It’s simple and not too rich and was gobbled (no pun intended) up by everyone. I’ll double or triple this recipe for my group. 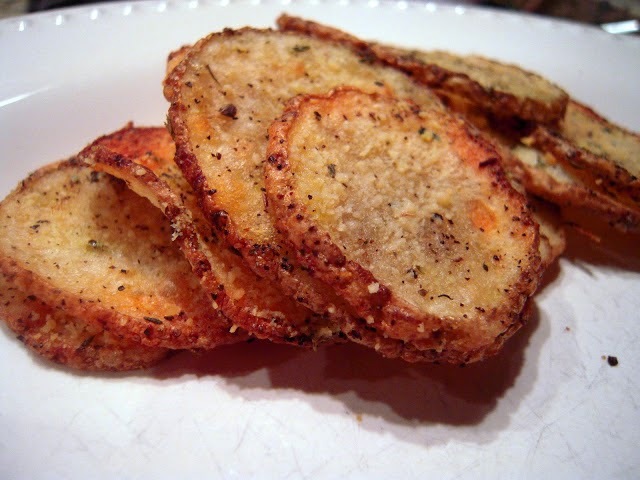 Slice potatoes into very thin slices (1/4 inch). 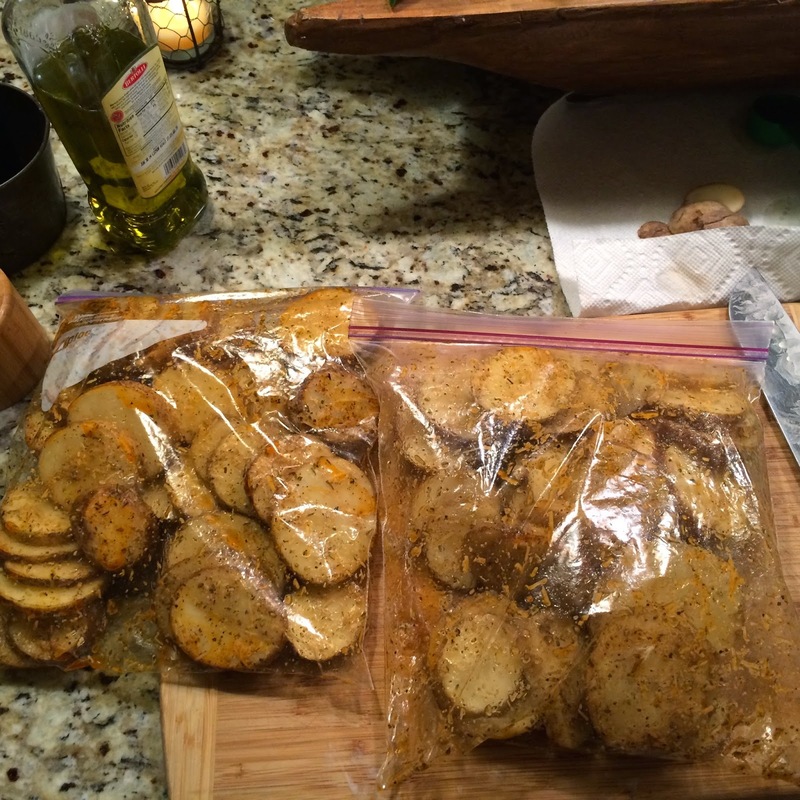 Toss potatoes with olive oil, Italian seasoning and salt in a ziplock bag to coat. 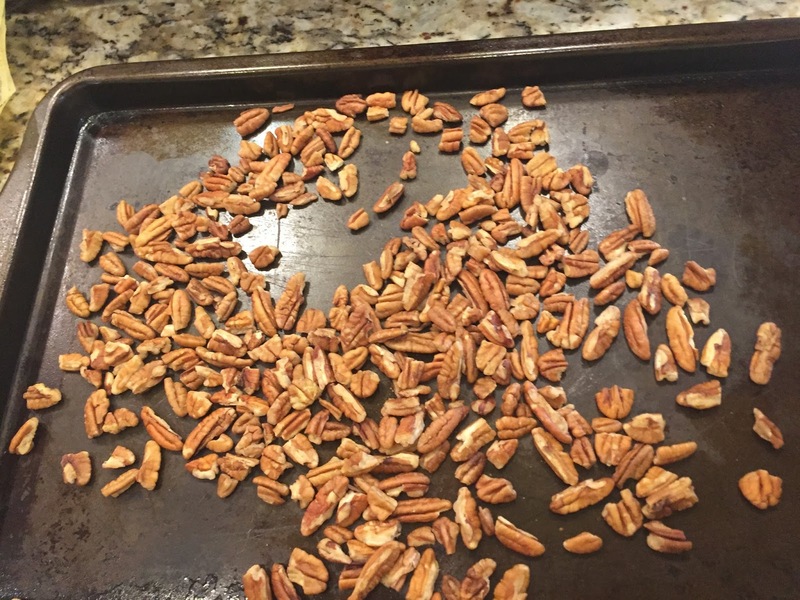 Turn them out in a single layer on a baking sheet lined with foil. Bake at 450 for 15 -20 minutes, until lightly brown. Top with Parmesan cheese, and bake an additional 5 minutes. 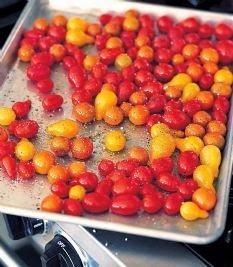 Preheat the oven to 400 degrees F. Toss the tomatoes lightly with olive oil on a sheet pan. Spread them out into one layer and sprinkle generously with kosher salt and pepper. Roast for 15 to 20 minutes, until the tomatoes are soft. Transfer the tomatoes to a serving platter and sprinkle with basil leaves and sea salt. Serve hot or at room temperature. 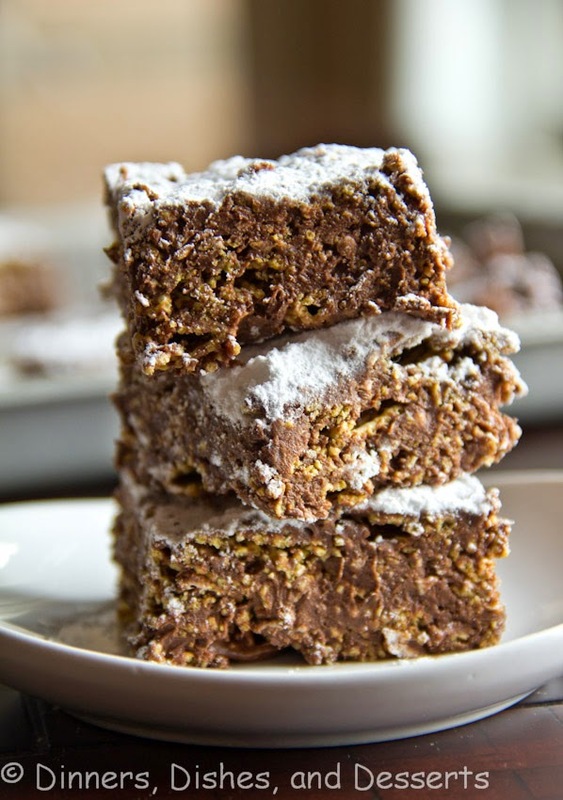 This dish is a play on the Muddy Buddy chex mix that is so delish! But…instead of it being a loose “mix” you press the ingredients into a pan and serve as a bar. In a large glass or ceramic bowl melt together the marshmallows, chocolate chips, and peanut butter. Microwave at 50% power for 45 seconds at a time, stirring in between. Stir in chex cereal once melted. Press into a 8×8 inch baking dish sprayed with cooking spray. Press well, so they stick together as a bar. Sift powdered sugar over the top. Let cool completely before serving. Store in the fridge for firm bars or room temperature for softer bars. 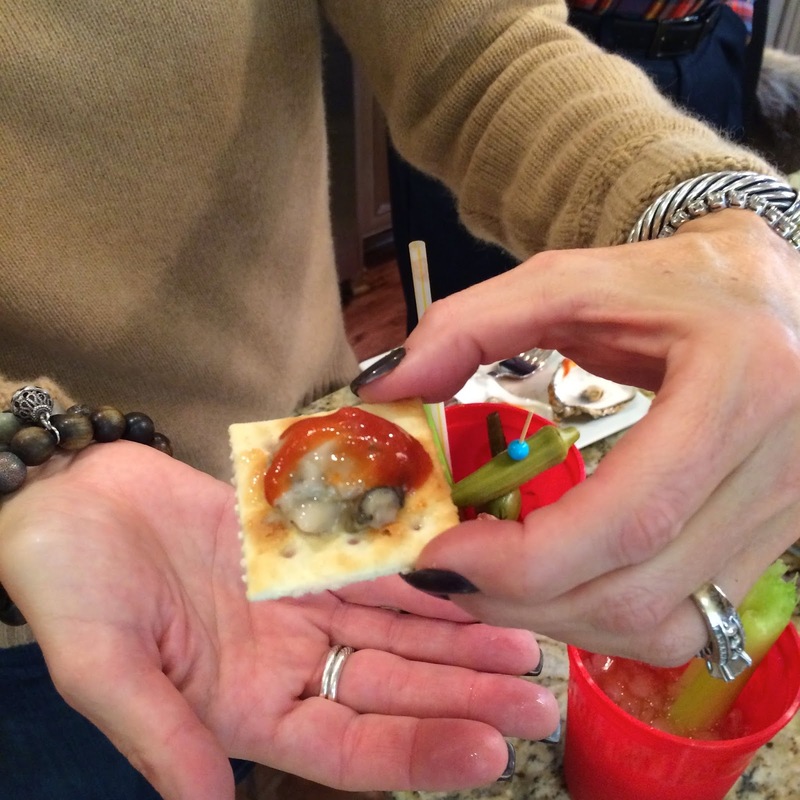 We have a family tradition of having oysters on the half shell midday on Thanksgiving. The duty of the men in the family is to shuck 50 oysters. Sometimes we serve them raw, and sometimes we’ll throw some of them on the grill. 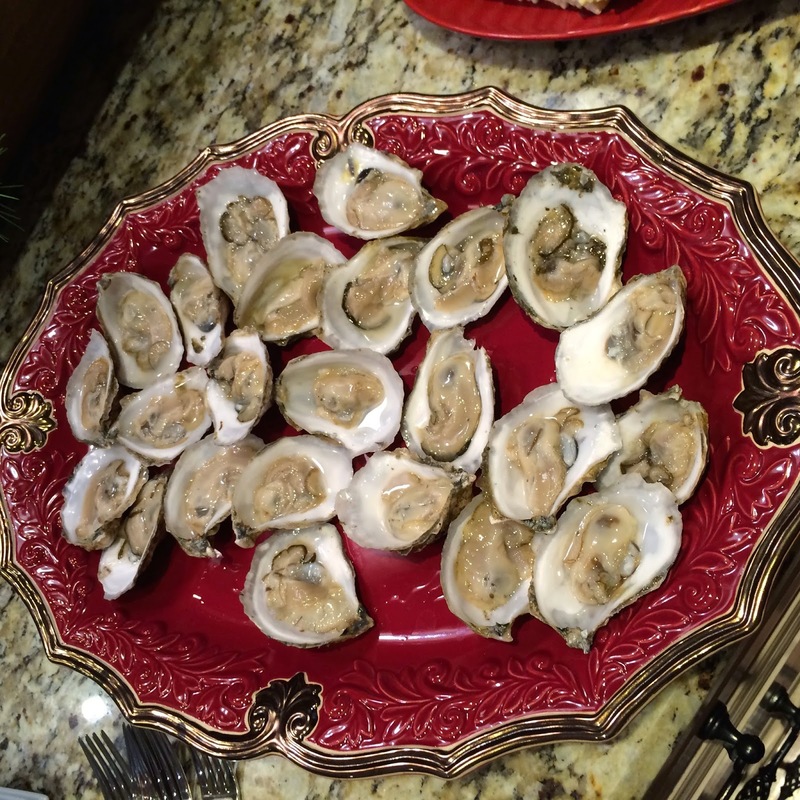 Our favorite “go-to” oysters are from Island Creek in MA. So so so GOOD! We serve them with this mignonette sauce and traditional cocktail sauce along with lots of lemon and saltines. 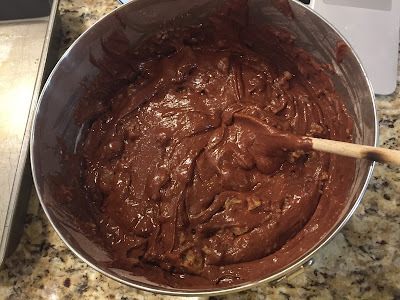 I’ll probably double this recipe, since we usually inhale it! 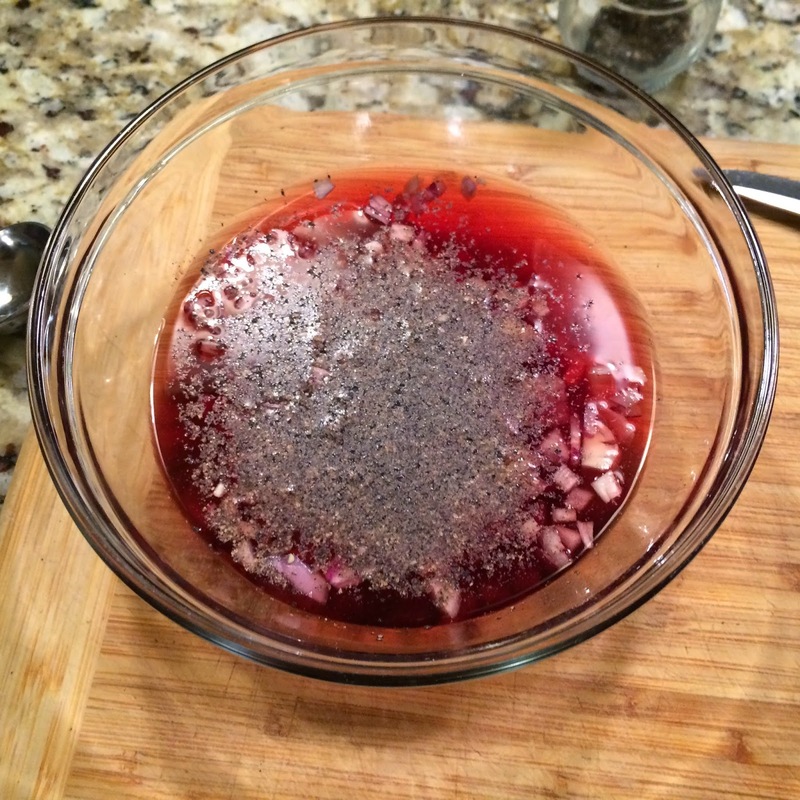 Stir red wine vinegar, shallot and pepper in a small bowl. Allow a bit of time for the flavors to blend and shallots to macerate—20 minutes will do. 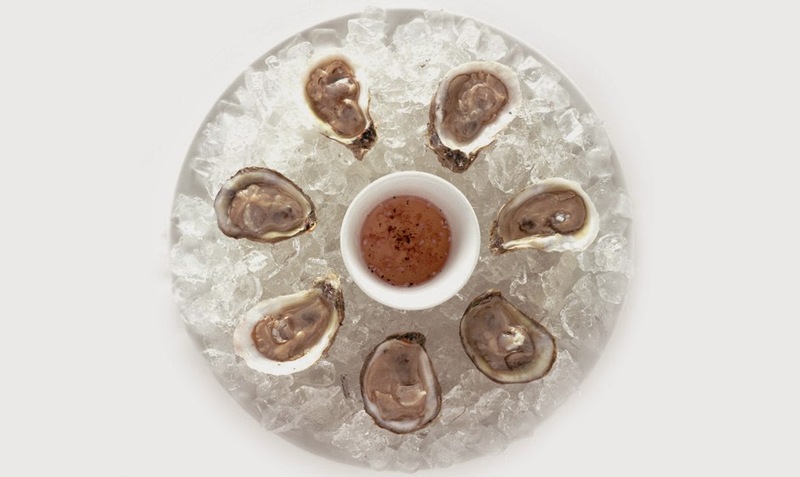 When oysters are all shucked and ready, spoon the mignonette over your individual oyster and devour! 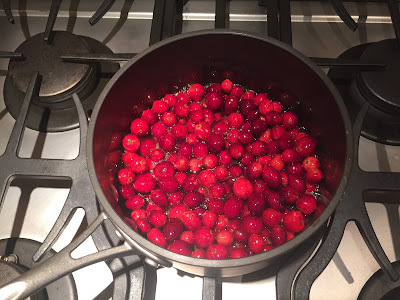 I’m doing 2 different cranberry options this year – one cooked and one fresh. 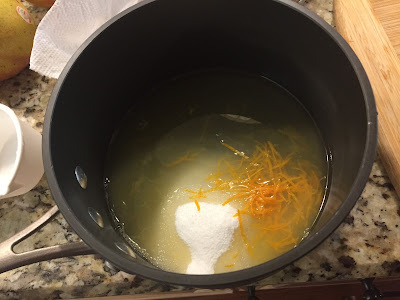 In a medium saucepan, heat 1/2 cup water with the orange zest, orange juice, sugar and salt over medium-high heat, stirring until the sugar dissolves, 2 to 3 minutes. Stir in the cranberries and bring to a boil. Reduce the heat and simmer until the cranberries pop, and the sauce has thickened slightly, about 7 minutes. Sweeten with more sugar, if desired. Let the sauce cool to room temperature before serving. Chill for up to a week before serving. I’m not a fan of the canned congealed stuff. This simple, easy relish fits the bill – fresh, sweet with a little tang and great alongside the turkey Thursday (and on a turkey sandwich on Friday)! 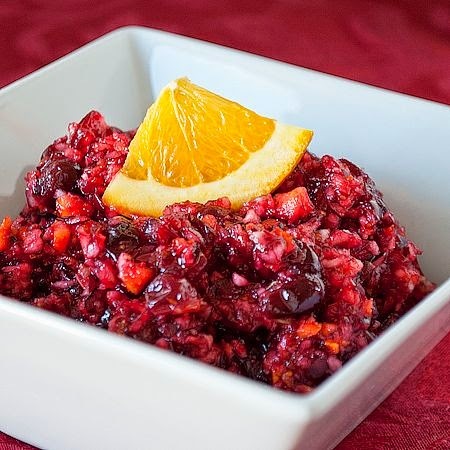 In a sauce pan, combine 1 bag of the cranberries along with zest and juice of one of the oranges. Bring the mixture to a simmer and simmer for 3 minutes until the berries start to pop. Allow to Cool. 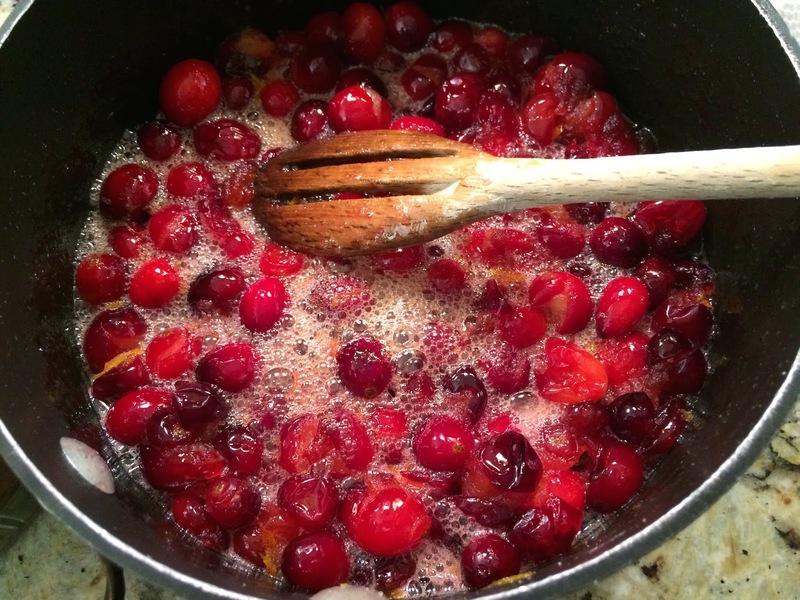 In a food processor, add the remaining bag of cranberries. Cut the remaining orange into 8 pieces and add to the food processor (I included SOME of the peel but not all just to give it a bit of zestiness). Pulse the cranberries and and orange together until finely chopped. Combine this mixture with the cooked mixture and serve, or refrigerate for up to 5 days. And voila! All ready to refrigerate until the big day! This year the turkey duty is falling on my husband. He loves to use his Traeger smoker, and it’s usually a fight to get everything in my oven at the same time, so this frees up the oven for ME. 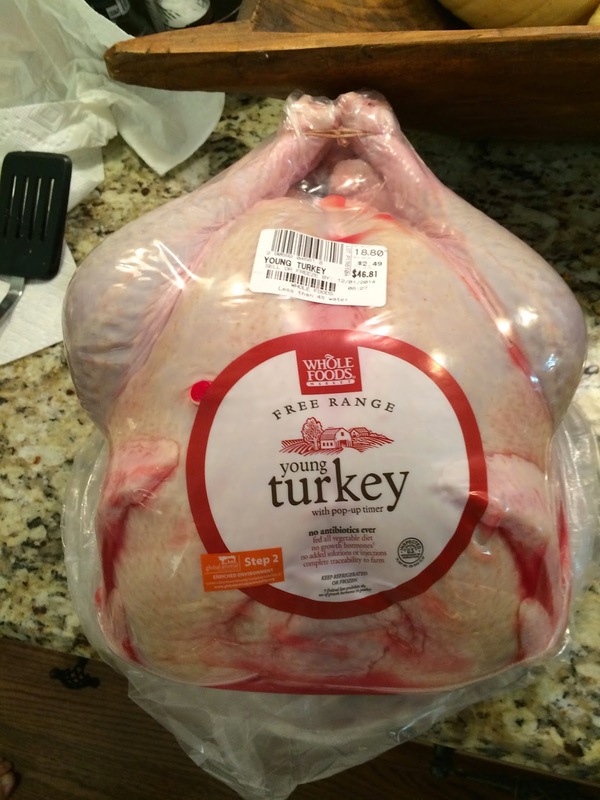 Adjust cooking time if you are going with a larger turkey (we’ll have an 18-20 pounder). 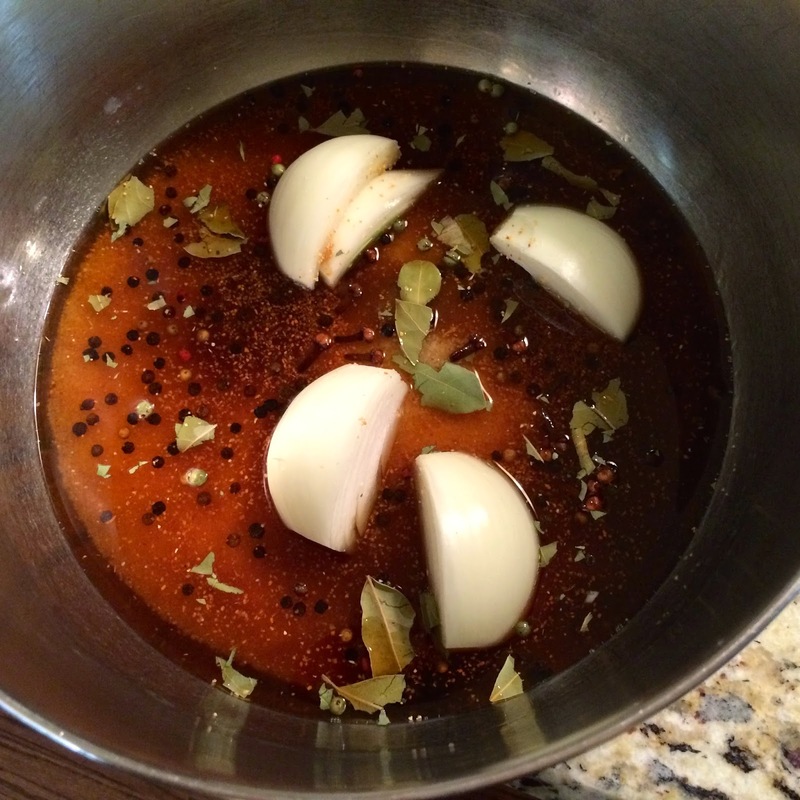 In a large stockpot or container combine the hot water, kosher salt, bourbon, 3/4 cup of the maple syrup, brown sugar, onion, bay leaves, peppercorns, and cloves and stir until well mixed. Add the ice. 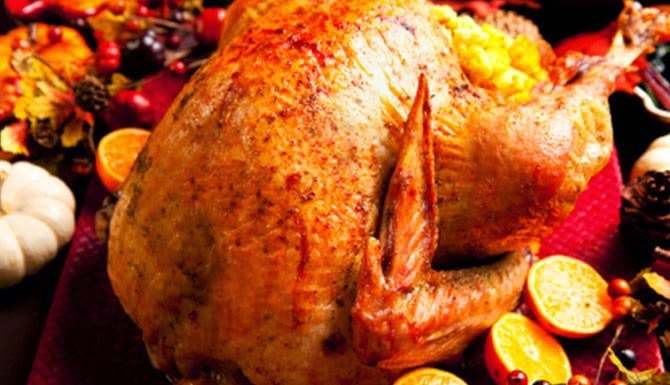 Rinse the turkey, inside and out, under cold running water. Remove giblets and discard or save for another use. (Some turkeys come with a gravy packet as well; remove it before roasting the bird.) Add the turkey to the brine and refrigerate 8 to 12 hours, or overnight. 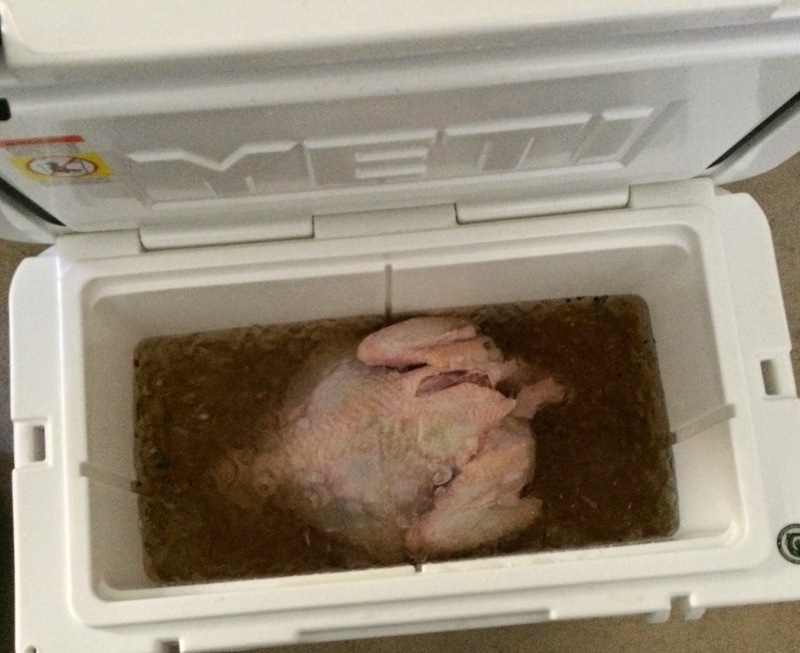 ***With the size turkey we’re using we’ll be using a cooler placed in our bathtub for the brining. Weight with a a bag of ice to keep the bird submerged. 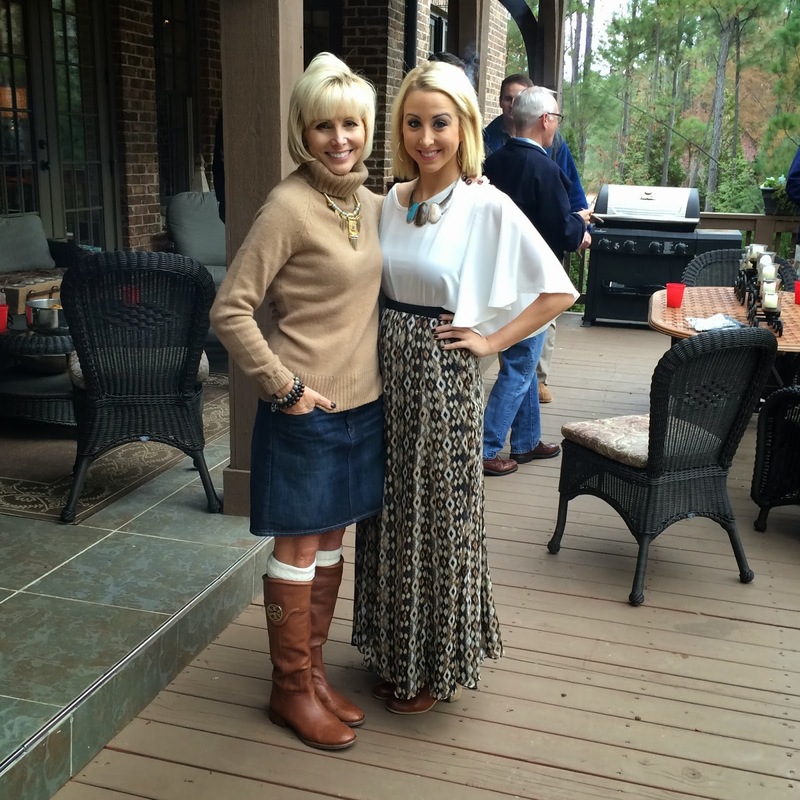 Once you are ready to cook the bird, drain and pat dry with paper towels; discard the brine. Fold the wingtips behind the back and tie the legs together with butcher’s twine. Combine the melted butter and the remaining 1/4 cup of maple syrup. Brush on the bird and sprinkle lightly with Pork/Poultry Shake or salt and black pepper. 1. When ready to cook, start the Traeger grill on Smoke with the lid open until the fire is established (4 to 5 minutes). Set the temperature to 350 degrees F and preheat, lid closed, for 10 to 15 minutes. Roast the turkey for 2-1/2 to 3 hours, or until the internal temperature in the thickest part of the thigh is 165 degrees F. (Use an instant-read meat thermometer.) Brush with the remaining butter/maple syrup mixture the last 30 minutes of cooking. Let the turkey rest for 15 to 20 minutes before carving. Garnish, if desired, with fresh herbs and/or kumquats. 2. Start the Traeger on Smoke with the lid open until the fire is established (4 to 5 minutes). Set the temperature to the smoke setting and smoke the turkey for 2 hours. Then crank up your grill to 350 degrees F and roast the turkey until it is deeply browned, the skin is crisp, and the internal temperature of the thickest part of a thigh is 165 degrees when read on an instant-read meat thermometer, 2 to 3 hours, depending on the size of the turkey. Carefully transfer the turkey to a cutting board or platter. 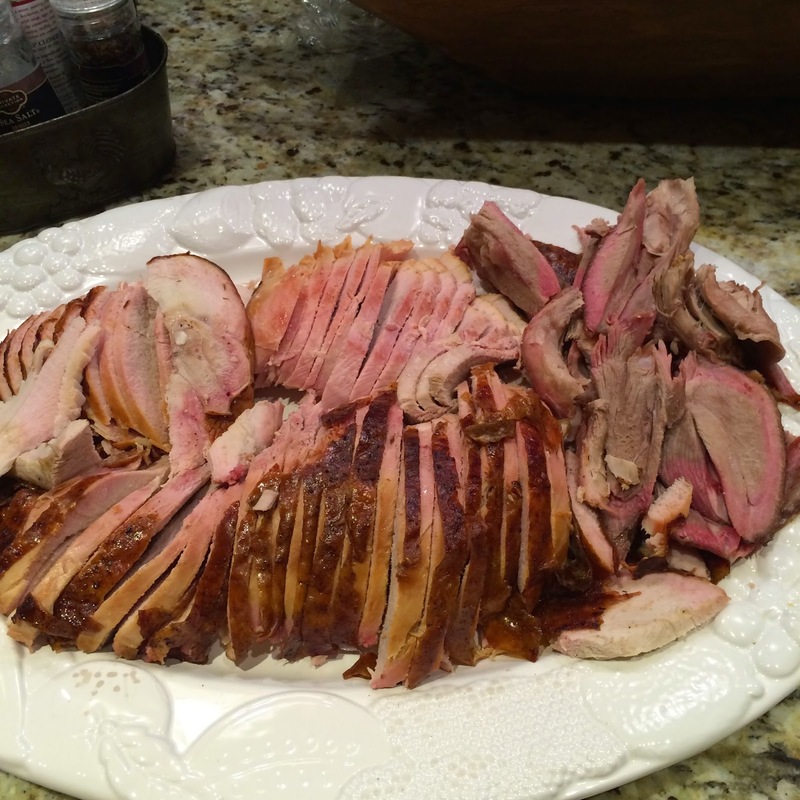 Let rest for 20 to 30 minutes before carving and serving. I think this dish is my family’s all time favorite, and if it is not on the table there will be some unhappy people! It’s a ubiquitous staple in our house on this day. My mother got it from an old Junior League cookbook (Cotton Country Collection out of Louisiana. It’s been listed as one of the top 5 regional cookbooks in the US. ), and she began serving this one about 40 years ago. Cook and then mash sweet potatoes (I boil them for ~40 minutes – depending on the size of your sweet potatoes). Cool a bit. 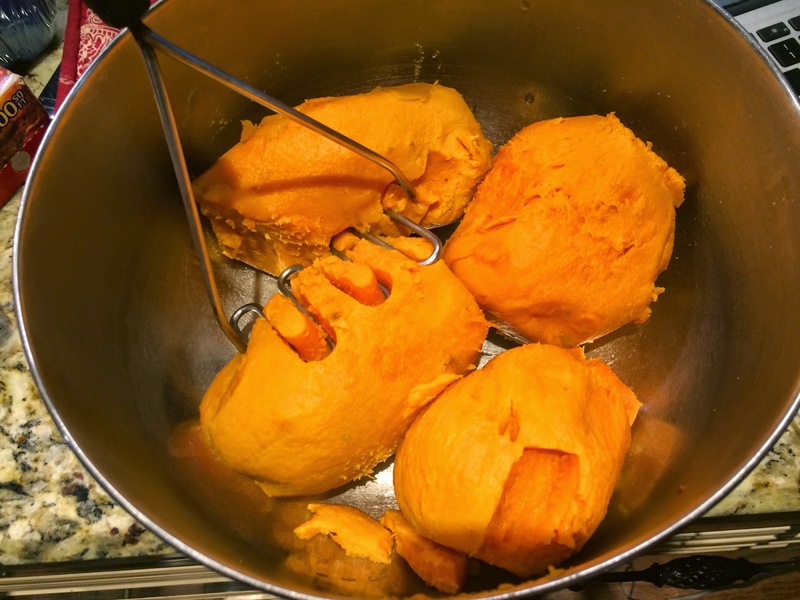 Add remaining ingredients (excluding the topping ingredients) to the mashed sweet potatoes and mix. Put into greased 2 qt casserole dish. Mix topping ingredients in a small bowl. Crumble topping evenly over top. Bake in preheated 350 degree F oven for 25 to 35 minutes. 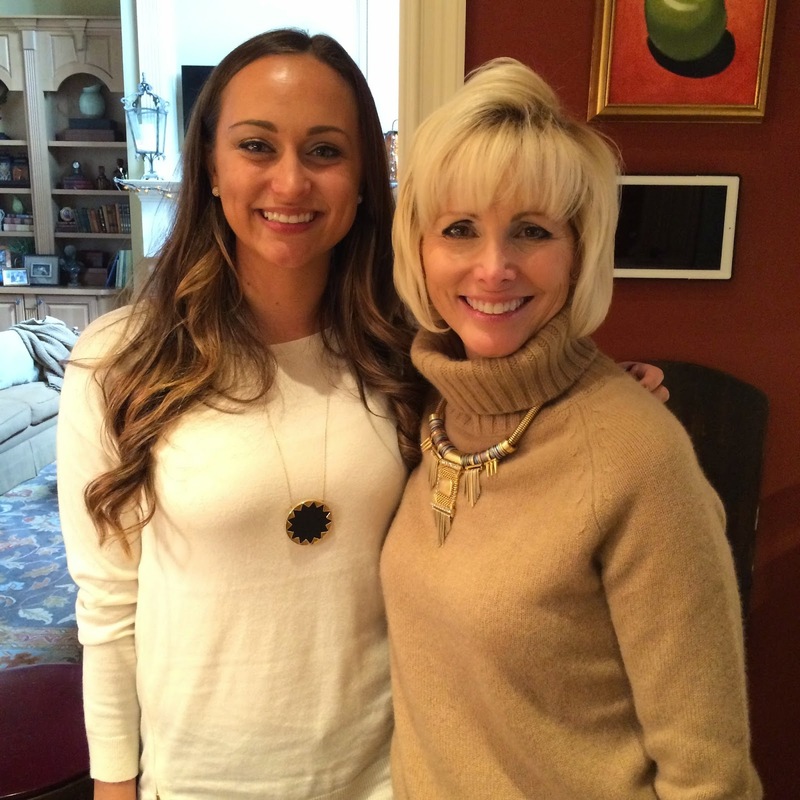 This dish can be made the day before and then cooked on Thanksgiving. Allow extra time if taking directly from the refrigerator to the oven. 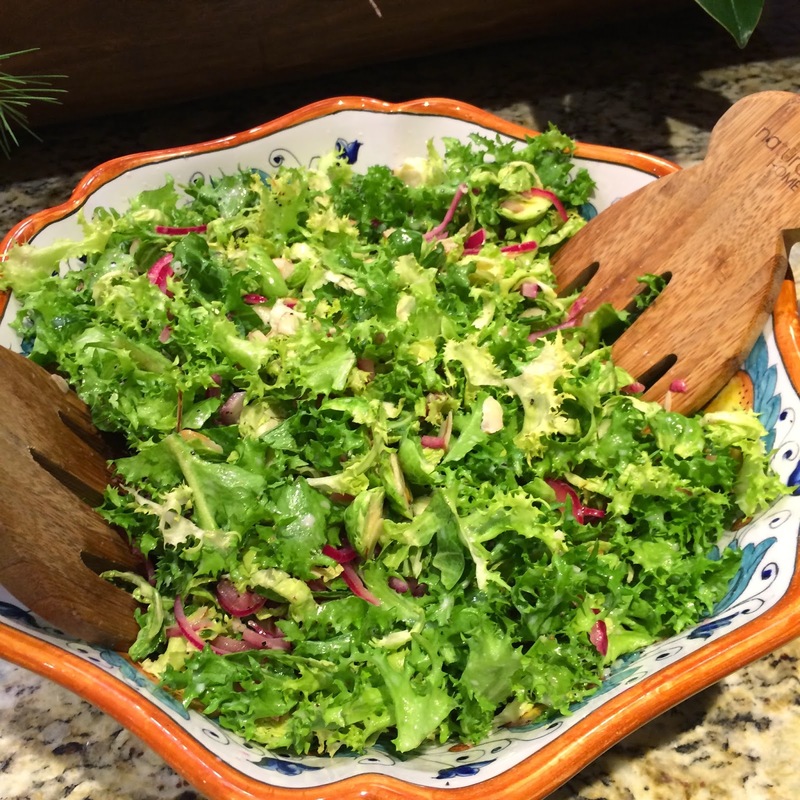 I’ve been making this dressing for YEARS! Love the combination of biscuits and cornbread and the simplicity of the recipe—no oysters, no chestnuts, just lots of sage, sautéed veggies and chicken broth! 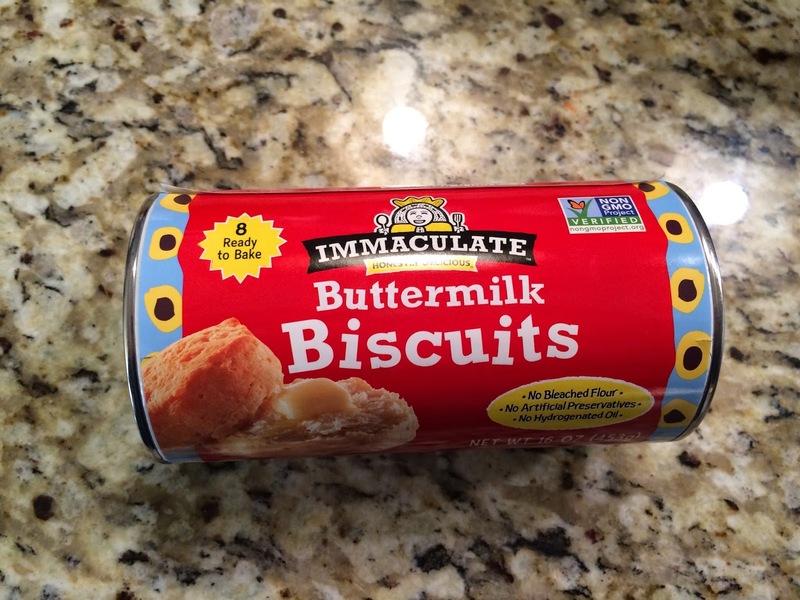 Prepare cornbread mix and biscuits according to the package directions. Let cool. Crumble both in a very large bowl. Set aside. Cook onion and celery in butter in a skillet over medium heat until soft, 5-7 minutes. 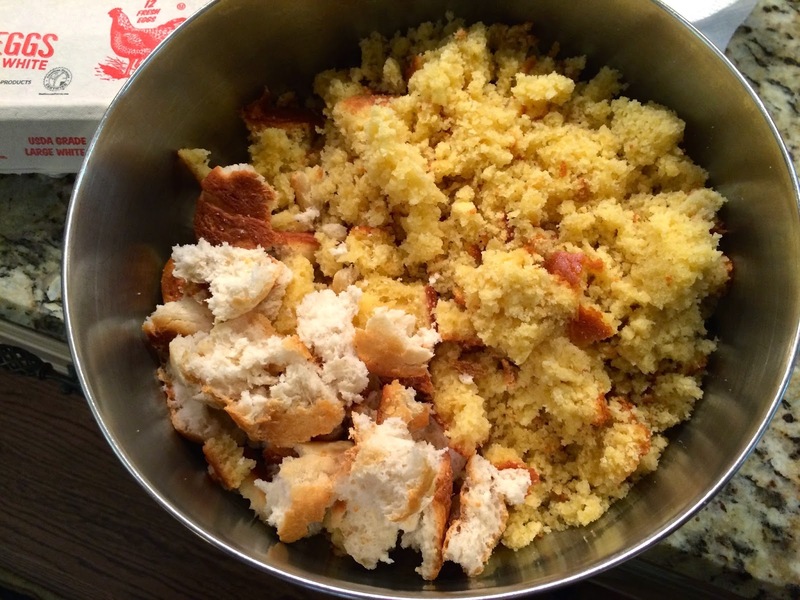 Add vegetables, broth and remaining ingredients to cornbread mix. Stir. Spoon into a greased 13×9″ baking dish. Bake at 350 degrees F for 55 minutes or until golden. 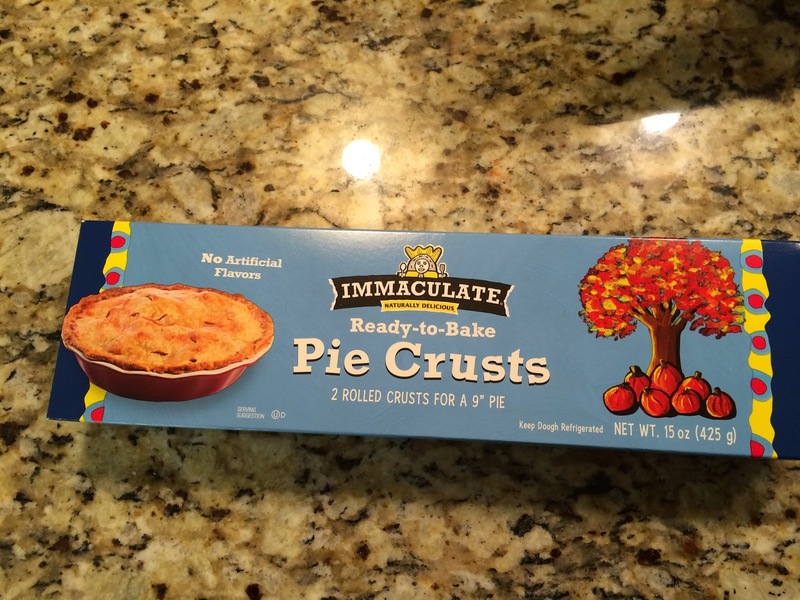 ***Can easily be put together the day before, and then cooked on Thanksgiving when you’re ready. I’ve never fixed this salad before but saw it in the most recent issue of Food and Wine, and it appealed to me. I love the idea of serving something “healthy” and crunchy amidst all the casseroles with butter! 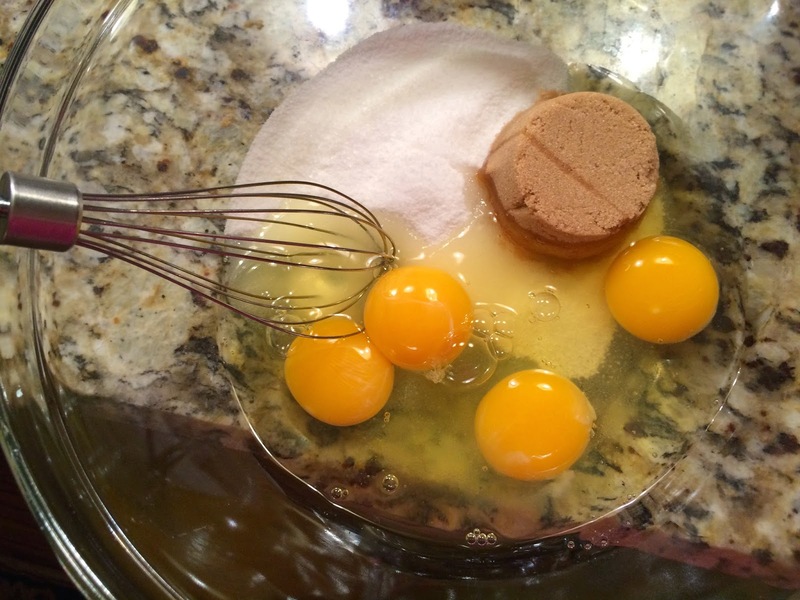 In a medium bowl, whisk 1/2 cup of the vinegar with the sugar and 1/2 teaspoon of salt until the sugar dissolves. Add the onion and toss. Let stand at room temperature, tossing occasionally, until the onion is bright pink and crisp-tender, about 30 minutes. Drain well. In a serving bowl, whisk the buttermilk with the olive oil, pepper, garlic and the remaining 2 tablespoons of vinegar. Season the dressing with salt. 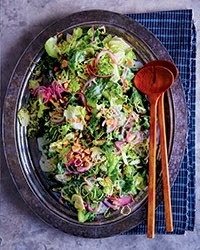 Add the escarole, brussels sprouts, almonds and pickled onion and toss. Season with salt and toss again; serve. 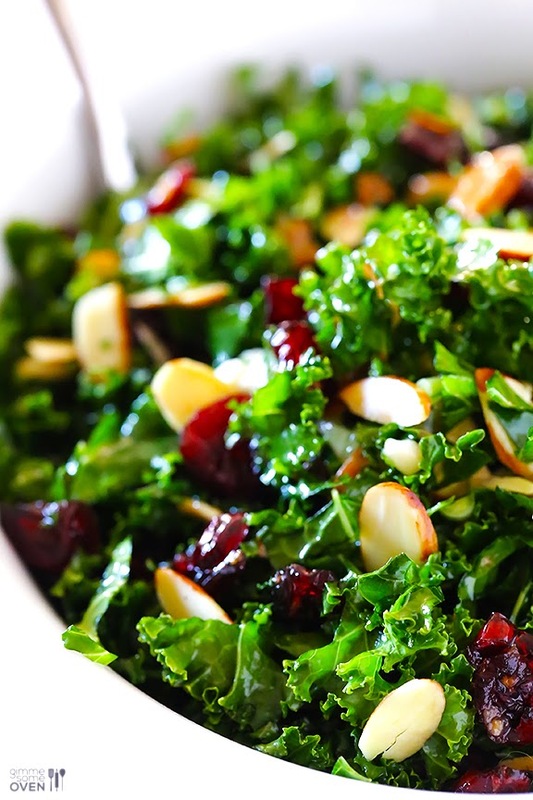 MAKE AHEAD The undressed salad can be refrigerated for up to 6 hours. 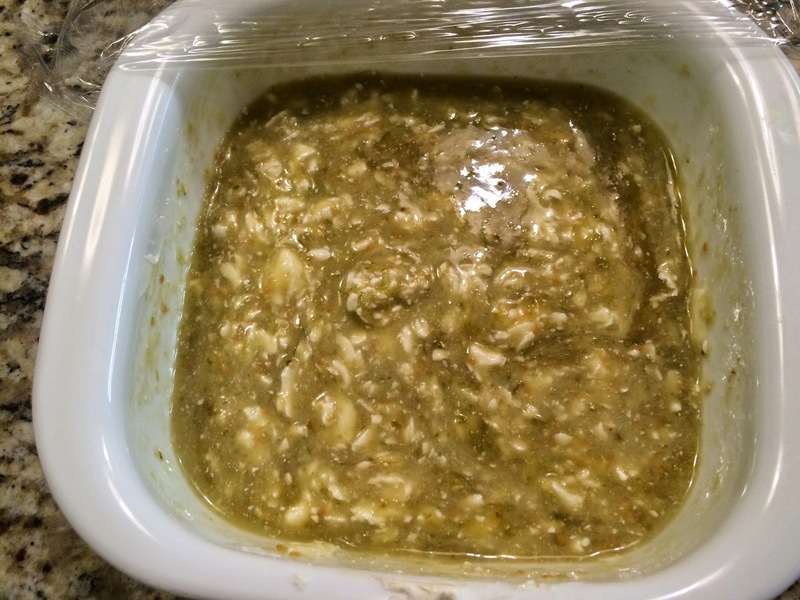 The dressing can be refrigerated overnight. 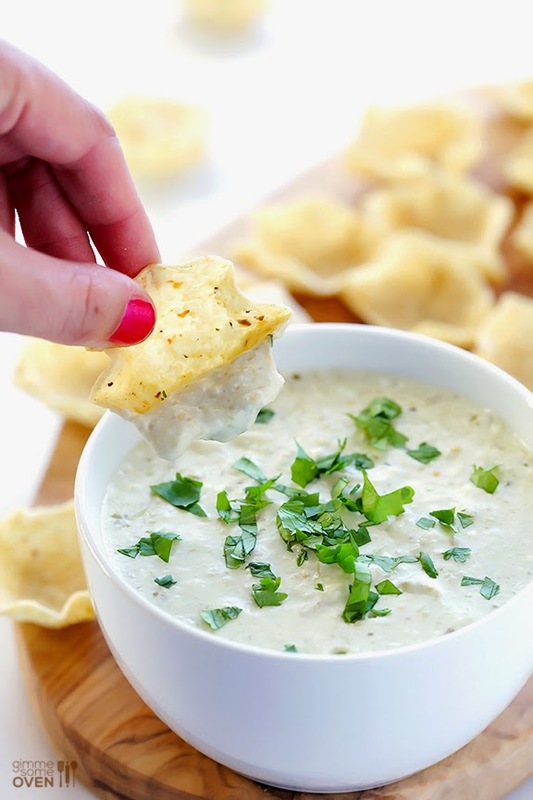 I cannot wait to make these! 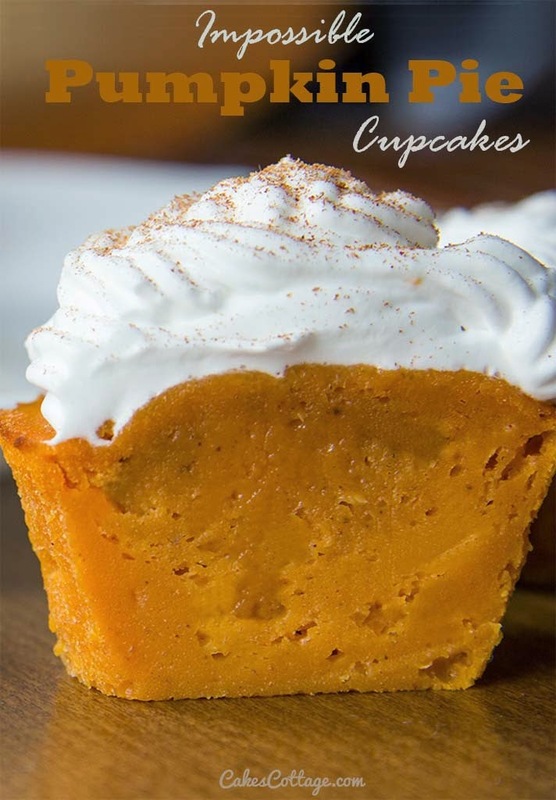 Just love the idea of individual “cupcake” servings of pumpkin pie. Too adorable! Line a 12-cup muffin tin with paper or silicone liners. Preheat oven to 350 degrees F. In a bowl, whisk together flour, baking powder, baking soda, salt and pumpkin pie spice. 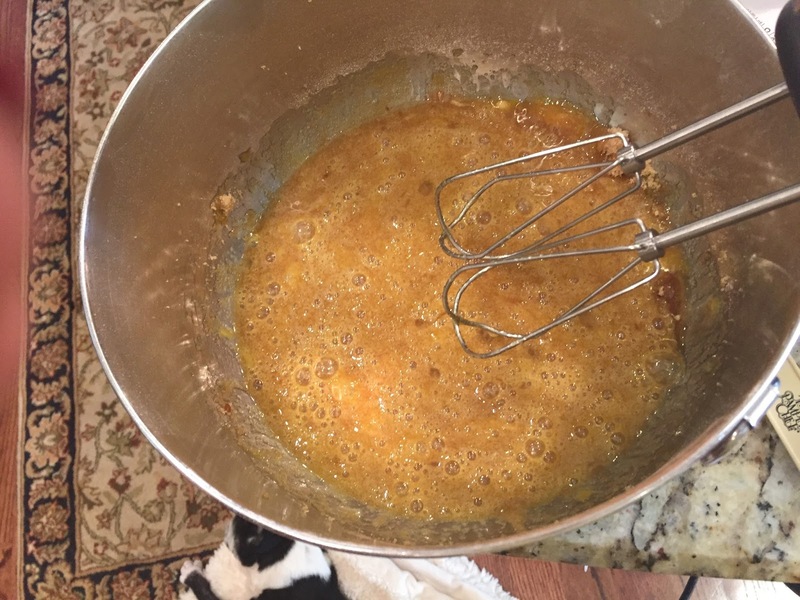 In a large bowl, whisk together pumpkin puree, sugar, eggs, vanilla and evaporated milk until well combined. Fill each muffin cup with approximately ⅓ cup of batter. Bake for 20 minutes and let cool for 20 minutes. Remove cupcakes from pan and chill in the fridge for 30 minutes or up to 2 days. Top with whipped cream and sprinkle with more pumpkin pie spice or cinnamon before serving. Another gem from Food and Wine! 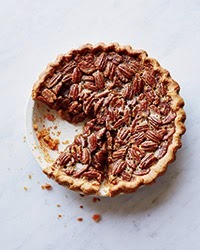 It’s a classic pecan pie with an added dimension – bourbon. 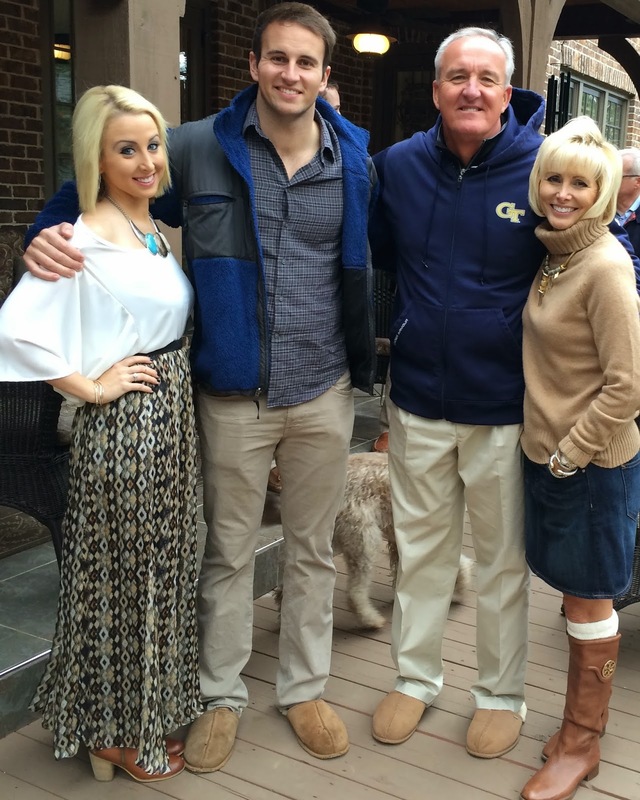 I’ll make 2 pies for this group. 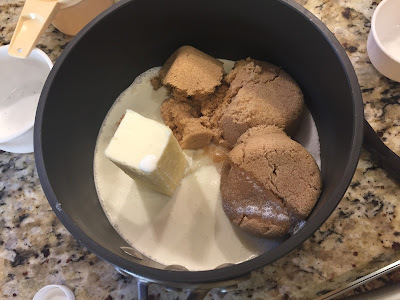 MAKE THE PIECRUST In a bowl, whisk the flour with the brown sugar and salt. Stir in the butter until the dough comes together into a ball. Transfer the dough to a deep 9-inch glass or ceramic pie plate. Using your fingers, press the dough over the bottom and up the side of the plate to the rim. Crimp the edge with your fingers or a fork. Refrigerate for at least 20 minutes or up to 3 days. MAKE THE FILLING Meanwhile, preheat the oven to 350 degrees F. In a bowl, whisk both sugars with the flour, salt and eggs until smooth, then mix in the syrup or honey. 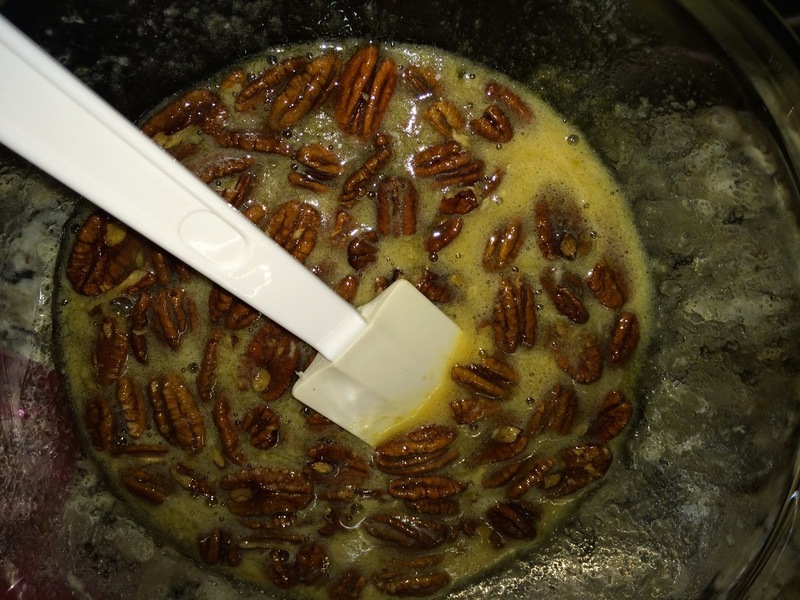 Add the bourbon, butter and vanilla and fold in the pecans. Pour the filling into the chilled crust and transfer the pie to a foil-lined baking sheet. Cover loosely with foil and bake for 1 hour, until the filling is nearly set. Transfer the pie to a rack and let cool completely, about 4 hours, before serving. Can make ahead and be refrigerated until ready to serve. ***Testing note: I made TWO pies and cooked them in the oven at the same time. IF you do this you will need to increase the cooking time significantly. I just kept adding 10 minutes and ended up probably going 1 1/2 hours cook time until they were finally set. I’m serving this jam on turkey sandwiches with turkey, cranberry relish and avocado on sourdough! 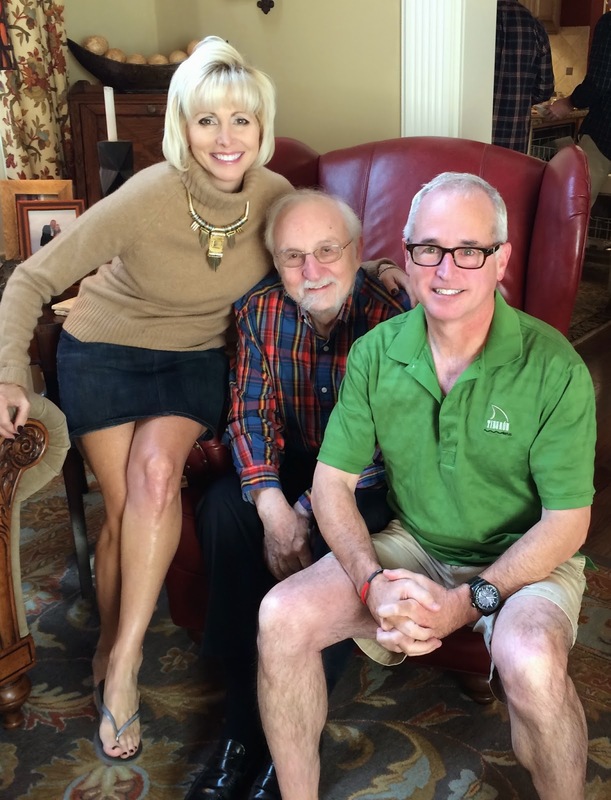 Love this guy’s blog! Everything I’ve ever made of his turns out amazing. Can’t wait to try this one! 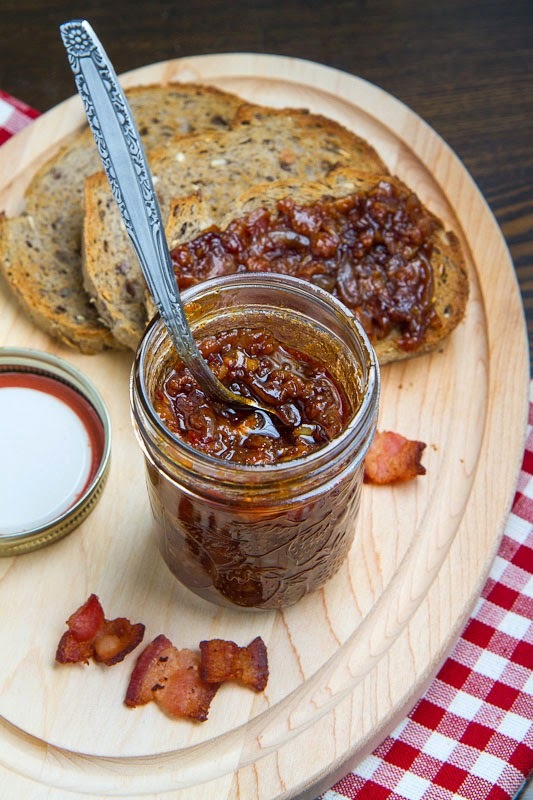 Cook the bacon in a large sauce pan an over medium heat until the fat has rendered and the bacon starts to get crispy and set aside, reserving 1 tablespoon of the grease in the pan for sautéing. Add the onions and sauté until tender, about 5-7 minutes. Add the garlic and saute until fragrant, about a minute. Add the vinegar and deglaze the pan. Add the coffee, brown sugar, maple syrup, bourbon, bacon, chipotle chilies, cumin and pepper. 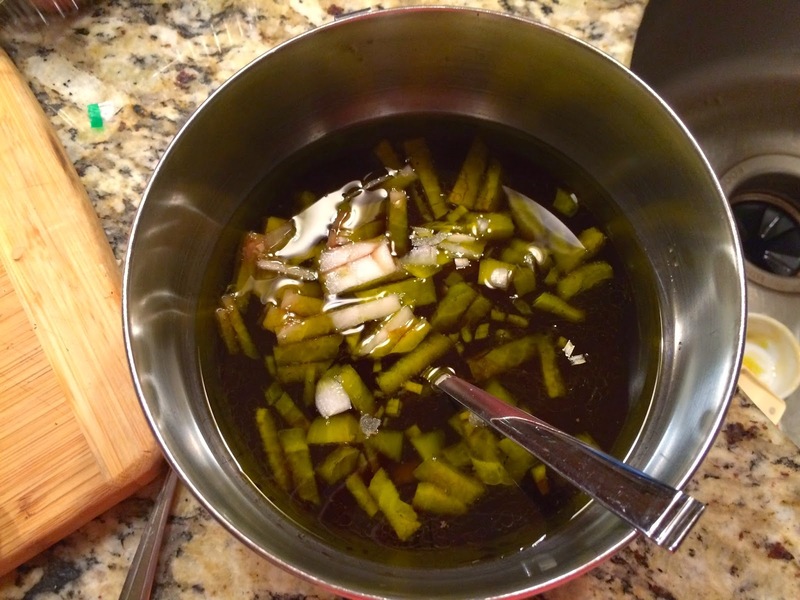 Reduce the heat and simmer until reduced to a syrupy consistency, about 1-2 hours. Make sure it’s a LOW simmer otherwise all the liquid will evaporate — like mine did :(. No matter – it still tastes great! Process the jam in a food processor to smooth it out a bit (but not too much as you want to have the chunky texture of the bacon). Store it in a sealed container in the fridge for up to 4 weeks. Heat olive oil in a large skillet over low heat. Add cashews, almonds, walnuts, cinnamon, salt, paprika and cayenne and cook, stirring often, until nuts are fragrant and golden, 8 to 10 minutes. Crumble sugar over nuts and cook, stirring constantly, until sugar is melted and coats nuts, about 3 minutes. Transfer to a bowl and serve warm, or cool and store in an airtight container at room temperature for up to 1 week.